Let me ask you, are your eyes ready for the light? You know, spring is right around the corner and it's pretty dang bright! It's best to have an arsenal of shades - sunglasses of different shapes and shading grades. A well stocked sunny kit is a spring time essential - and each ought to be thought of as a valuable sun shading utensil. 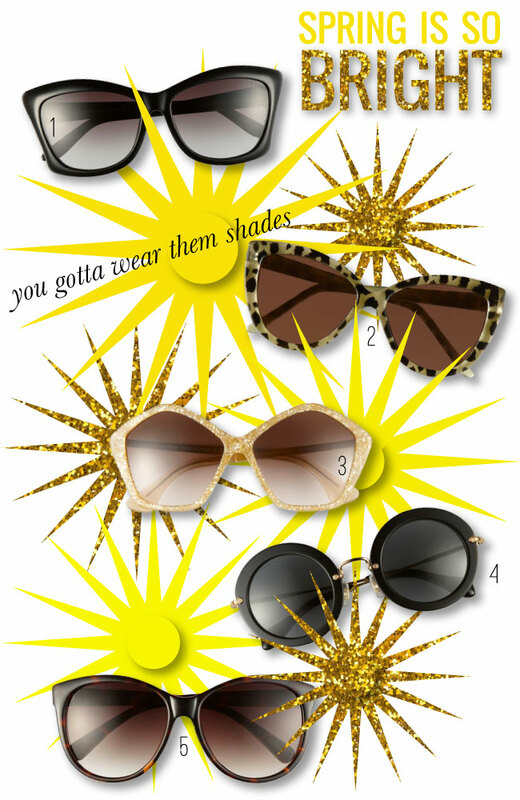 If you've found yourself the owner of just one pair - I urge you to accumulate collection of fabulous SPF eye wear!